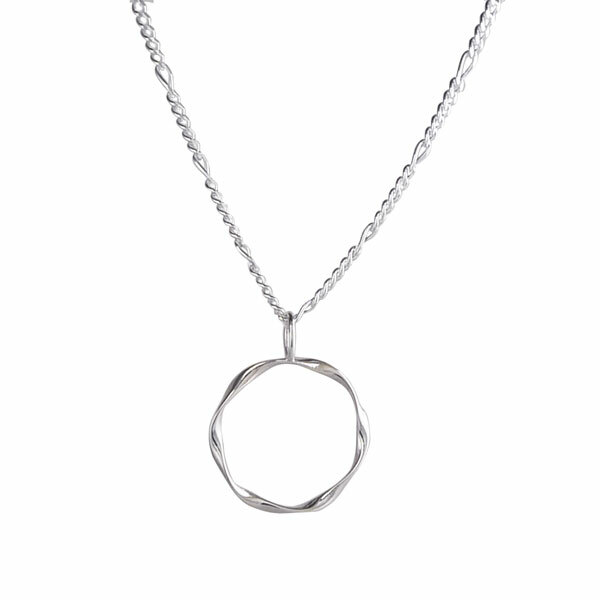 Pure Jewelry, Eyeglass Loop, or Sunglass Loop - Triple Twist (sterling silver pendant and chain - New! This Triple Twist Glasses Holder is a luxurious loop. It's shape has 3 twists around a circle. But the real twist is that it has 3 different uses... striking jewelry, eyeglass holder, or sunglass holder. The triple twist loop and chain are crafted from solid sterling silver. The opening is 30mm diameter (roughly 1" wide). Perfect for fitting most reading glasses or sunglasses through the loop.